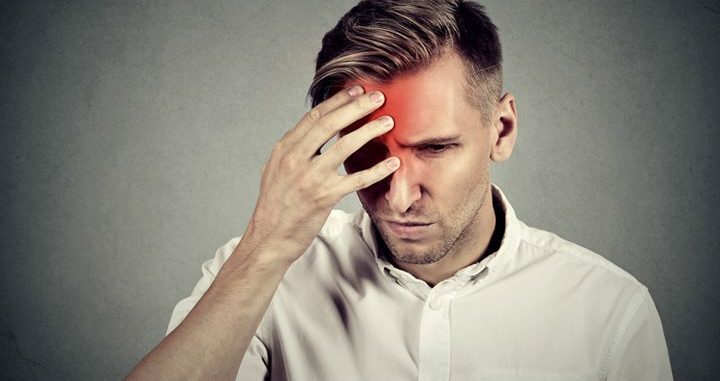 A migraine headache is more or less defined as a severe headache accompanied by additional symptoms, such as light sensitivity, nausea, sensitivity to sound and strong odors, and sometimes vomiting. The pain can be localized to one side or the other of the head or an allover throbbing pain. After experiencing migraine headache signs, and especially if there is a family history, many take the next step and make a doctor’s appointment for testing. Migraine headache testing usually consists of a CT, or computerized tomography, a MRI, or magnetic resonance imaging, and/or a spinal tap. A CT scan will provide the doctor with a series of cross section views of the brain. This will rule out or confirm the causes of the migraines are/are not due to tumors, or infections. The MRI will provide the doctor with the same information using radio waves, and can also identify aneurysms, strokes, and abnormal blood vessels that could be the source of the migraines. A spinal tap is a painful procedure where a doctor will puncture the area in between two vertebrae in the lumbar with a thin needle. The CSF, or cerebrospinal fluid will be withdrawn with the needle for testing for illnesses, such as meningitis. Though there is no known direct migraine headache causes, many doctors and researchers believe there are triggers however. Family history and environment seem to play a role in sufferers of migraine headache symptoms. Foods seem to play a big role in triggering a migraine headache for many people. Those with food allergies are highly susceptible to them, such as those with gluten allergies. Lactose intolerant individuals can also experience migraines after consuming dairy products, like milk or ice cream. Alcoholic beverages can also be a common trigger for migraine headache sufferers. Other probable migraine headache causes are hormone changes, especially in women. Many women get migraines just before or after their menstruation cycles and at points during perimenopause and premenopause. Researchers believe this is due to a change in estrogen levels. Another reported instance of women having migraines is during pregnancy. Women using birth control pills may have a twofold chance of experiencing migraines because of the hormone changes they cause while on them and again if the woman stops taking them. Stress is believed to be another big trigger of migraine headache symptoms. This is true of work related stressors as well as daily stress, such as traffic, family issues, or financial concerns. Although medications can be a trigger for migraines, this is the main migraine headache treatment. Doctors will usually prescribe several types of medications, like pain relievers, anti-nausea, and a combination of: Dexamethasone, Triptans, and/or Ergot. If the migraine headache sufferer has severe pain their doctor may even prescribe them an opiate pain reliever, such as oxycodone or oxytocin. Due to the nausea and sometimes vomiting that accompanies migraines, many patients will also be prescribed anti-nausea medications and/or suppositories. The number one migraine headache treatment is Triptans. This is because it is a type of all in one medication. Triptans will help with the nausea, headache pain, and even the light sensitivity and sound sensitivity that can aggravate the migraine cycle. There are also a multitude of preventative drugs that can help with migraines, such as anti-depression, Botox, and some heart medications. Even though these are for other illnesses, they can be very helpful in preventing migraine headaches especially some anti-depression drugs, like amitriptyline. Of course, you should always consult with your doctor before taking these preventative drugs to reduce migraines. There are also some lifestyle and diet changes that may be helpful in managing migraines. Things like meditation and relaxation, like yoga, listening to music, and soaking in a hot tub can all help to ease migraine headache symptoms. The right amount of sleep can be important in migraine prevention, as over or under the proper amount could trigger an episode. One method of self-treatment most often reported is lying down in a dark, quiet, and cool room, or with an ice pack, until the headache and accompanied symptoms pass.